Yum. Now I’m craving this! I love the fresh, crisp coleslaw alongside it too. 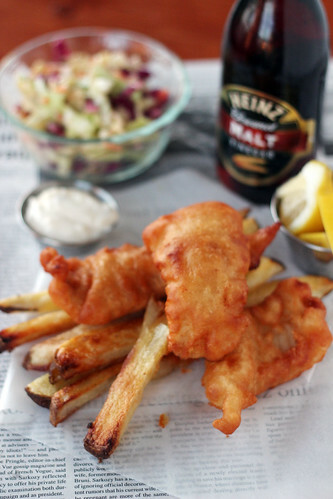 Love oven fries, and hate frying – so might just employ that strategy myself next time! I feel like I’m always looking for an excuse to serve coleslaw. 🙂 Oven fries made the process easier for me, I think. We loved the fish! Thanks for the great recipe! Jess, these photos are gorgeous. 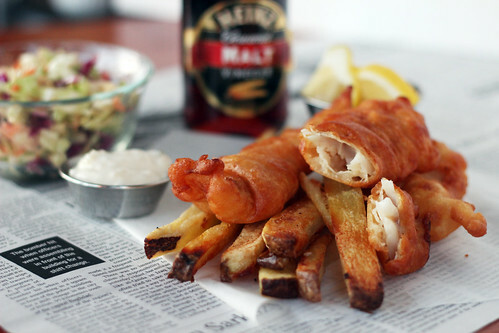 As if I needed another reason to want fish and chips! This is perfect for Lent.